If it hadn’t been for a chance encounter in Tripoli many years ago, Sandy Angus might have been wielding a stethoscope rather than organising art fairs. He was set to study medicine in Edinburgh, but instead he went travelling and then started working with Bryan Montgomery, whom he had met in Libya. Montgomery, whose family-owned trade fair business was started in 1895, recruited him—and ever since Angus has remained in the company, of which he is now chairman. While the art world knows Angus Montgomery through numerous fairs, from Photofairs San Francisco to the recent inaugural Taipei Dangdai, the art side is in fact part of a much bigger business—the firm has over 60 trade fairs across the world, specialising in everything from mining and building to hospitality. 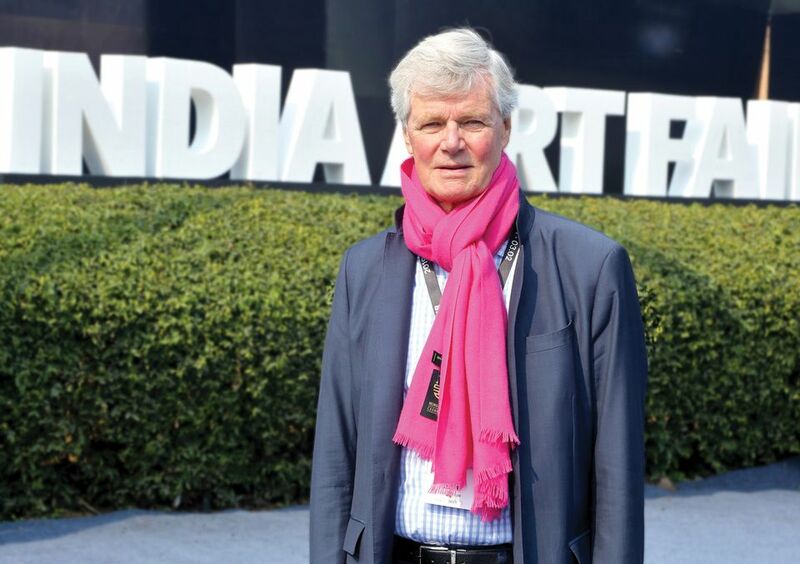 Including Sydney Contemporary, India Art Fair, Photofairs Shanghai, Art Central Hong Kong and the planned ART SG in Singapore, Angus Montgomery holds more such events in the Far East than any other organiser. Although honoured with a string of awards in the events industry, Angus is diffident and undemonstrative, and has never sought what he calls the limelight. “I don’t need to feed an ego,” he says. We are talking over Skype; Angus is at the Kochi Biennale, having just travelled on from Delhi after the India Art Fair closed. India is well known to him—he was born to Scottish tea-plantation owners in Tamil Nadu in 1945 and lived there as a child. Also loss-making is Photofairs San Francisco, which he says has cost $1m in two editions. It has now been relocated to a smaller space downtown and moved to spring 2020: “The problem is that the price points in photography are much lower, so these fairs are much more difficult to establish—but I do believe in photography, it is a seductive medium that people love.” Following this interview, at the start of March, Angus Montgomery announced the cancellation of Photofairs San Francisco but, in a statement to exhibitors the company said it remained "committed to the US in the long-term." Finally, I ask about China: Angus and his fellow event organiser Tim Etchells founded ArtHK in 2007, which was bought by Art Basel in 2011—it is now Art Basel in Hong Kong. Now he has other ambitions for the mainland: “I would love to have a much broader arts-related business in China. We are looking at whether we could run the equivalent of a month-long Royal Academy-style Summer Exhibition in China,” he says: “We are talking to the government about this. They would have to give us a venue—then, for example, we could bring in shows from the Tate or the Victoria and Albert. Obviously there would have to be a commercial aspect. It sounds as if we might get permission.” And once they get this, an event could take place within a year.